Veronica Bocanegra Mobile Veterinary Services – At home veterinary services for Rancho Cucamonga, Fontana, Ontario, Upland, Eastvale, Riverside and surrounding cities. At home veterinary services for Rancho Cucamonga, Fontana, Ontario, Upland, Eastvale, Riverside and surrounding cities. 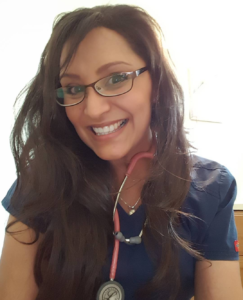 Dr. Veronica Bocanegra grew up in the city of Rancho Cucamonga, California and graduated in 2002 with a Bachelor of Science in Wildlife, Fish, and Conservation Biology from from UC Davis, CA. Following her studies at UC Davis, she graduated with honors from Western University of Health Sciences, School of Veterinary Medicine, Charter Class of 2007. Dr. Bocanegra is fluent in Spanish. Dr. Bocanegra is available for mobile/at-home veterinary services within the city of Rancho Cucamonga and surrounding cities. Dr Bocanegra's interests include dermatology, internal medicine, surgery and orthopedics. When Dr. Bocanegra is not working, she enjoys time with her family. Her hobbies include competitive Crossfit, mountain hiking and rock/ice climbing. 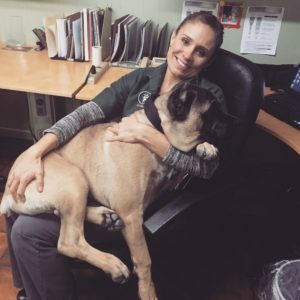 Gina has veterinary experience since 2008. She has worked with Dr. Bocanegra for over 10 years. Gina Graduated as a Veterinary Assistant from Redlands Regional Ocupational Program. Gina is currently waiting to take her state board examination to obtain her Registered Veterinary Technician License. Gina takes her job very seriously and loves it!. She couldn't imagine doing anything else. She has lived in Southern California for 26 years with her husband, son, and 4 furry babies (dogs) who they treat as children of their own. When Gina is not working, she enjoys ridding motorcycles with her husband, golfing, and spending quality time with her family and friends.